It is 1936 and Kate Merritt, the middle child of Victor and Nadine, works hard to keep her family together. Her father slowly slips into alcoholism and his business suffers during the Great Depression. As her mother tries to come to grips with their situation and her sisters seem to remain blissfully oblivious to it, it is Kate who must shoulder the emotional load. Who could imagine that a dirty, abandoned little girl named Lorena Birdsong would be just what the Merritts need? In this richly textured novel, award-winning author Ann H. Gabhart reveals the power of true love, the freedom of forgiveness, and the strength to persevere through troubled times. Multidimensional characters face real and trenchant problems while maintaining their family bonds, all against the backdrop of a sultry Kentucky summer. Readers will be drawn into the story and find themselves lingering there long after they've finished the book. 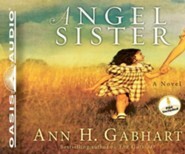 Ann H. Gabhart is the bestselling author of several novels, including The Outsider, The Believer, and The Seeker. 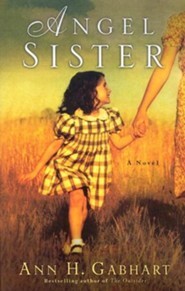 Her latest novel was inspired in part by the many stories her mother and two aunts told her of growing up in small town Kentucky during the 1930s. She lives with her husband a mile from where she was born in Kentucky. I'm the author/artist and I want to review Angel Sister: A Novel - eBook.